The American Security Initiative (ASI) was launched in early 2015 by former Sens. Saxby Chambliss (R-GA), Evan Bayh (D-IN), and Norm Coleman (R-MN). According to Jennifer Rubin, a right-wing “pro-Israel” pundit for the Washington Post, the group was founded with the aim of promoting the controversial Corker-Menendez bill, officially known as the Iran Nuclear Agreement Review Act. ASI’s board of directors consists of Chambliss, Bayh, Coleman, and former Sen. Joe Lieberman (I-CT). In March 2015, ASI launched its efforts by sponsoring an ad that took a stringently alarmist tone with respect to Iran’s nuclear program, showing a truck driver in an American city listening to speeches by Sen. Lindsey Graham (R-SC) and Israeli Prime Minister Benjamin Netanyahu just before he detonates an apparent nuclear bomb. The ad ends saying: "Tell Washington. No Iran nuclear deal without Congressional approval." The $500,000 ad spurred intense criticism and all the major networks—with the exception of Fox—refused to air it during their Sunday morning shows. In April 2015, ASI spent $650,000 on an ad campaign targeting Democrats on the Senate Foreign Relations Committee who had not yet co-sponsored the Corker-Menendez bill. At the time, critics argued the bill was meant to derail on-going nuclear negotiations by preventing President Obama from fulfilling U.S. commitments under any would-be deal with Iran. The bill eventually passed in April 2015 after a compromise was reached with the White House allowing Congress to vote on resolutions either approving or rejecting a final nuclear deal with Iran. Jennifer Rubin, “Bipartisan group: Congress should vote on Iran deal,” The Washington Post, March 5, 2015, http://www.washingtonpost.com/blogs/right-turn/wp/2015/03/05/bipartisan-group-congress-should-vote-on-iran-deal/. Ryan Cooper, “The hilariously over-the-top fear-mongering of the anti-Iran hawks,” The Week, March 9, 2015, http://theweek.com/articles/542893/hilariously-overthetop-fearmongering-antiiran-hawks. Ryan Cooper, “The hilariously over-the-top fear-mongering of the anti-Iran hawks,” The Week, March 9, 2015,http://theweek.com/articles/542893/hilariously-overthetop-fearmongering-antiiran-hawks. Burgess Everett and Kyle Cheney, “PAC targets senators on Iran bill,” Politico, April 9, 2015, http://www.politico.com/story/2015/04/pac-targets-senators-on-iran-bill-116839.html. The Center for Arms Control and Non-Proliferation, “Executive Summary: The Iran Nuclear Agreement Review Act of 2015,”http://armscontrolcenter.org/issues/iran/articles/ed_levine_analysis_INARA15_Executive_Summary/. Robert Satloff, “Clarifying a 'No' Vote on the Iran Nuclear Agreement,” WINEP, August 10, 2015, http://www.washingtoninstitute.org/policy-analysis/view/clarifying-a-no-vote-on-the-iran-nuclear-agreement. Burgess Everett, “$1.4 million ad buy targets Obama’s Iran Deal,” Politico, June 23, 2015, http://www.politico.com/story/2015/06/14-million-ad-buy-targets-obamas-iran-deal-119353.html. Alan Rappeport and Maggie Haberman, “Bipartisan Group of Ex-Senators to Run Ads Against Iran Deal,” The New York Times, August 12, 2015,http://www.nytimes.com/politics/first-draft/2015/08/12/bipartisan-group-of-ex-senators-to-run-ads-against-iran-deal/. 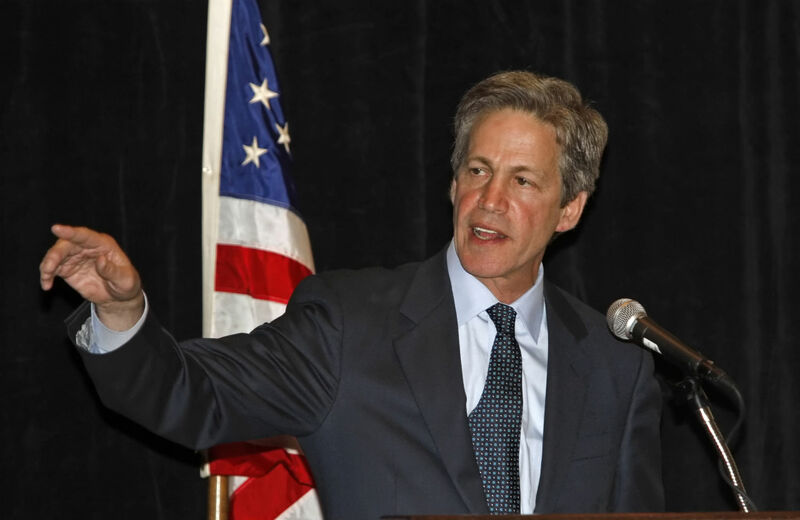 Lee Fang, “The Saudi Lobbying Complex Adds a New Member: GOP Super PAC Chair Norm Coleman,” The Nation, September 18, 2014,http://www.thenation.com/article/181674/saudi-lobbying-complex-adds-new-member-gop-super-pac-chair-norm-coleman.